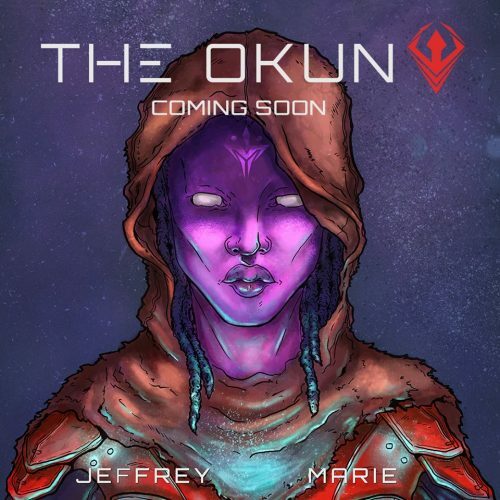 A sci-fi action adventure, with elements of survival horror, The Okun is a concept I co-created with the talented Takeia Marie, who is also the artist on the series. Follow updates on the upcoming short comic book at our FB page. The Shrene Empire has fallen. Laid waste by a long dormant enemy in a series of swift yet destructive attacks, the Shrene Resistance now fights for the very existence of its race. Added to this, the introduction of the monstrosity known as the Zuhle into the fabric of the war, and the Shrene seem to be on the edge of utter destruction. Shrene Resistance fighters Peyah and Shrina are brought into this horror filled backdrop to complete a crucial mission in the ever grinding war. Tossed into the middle of Zuhle occupied territory, the duo will find their battle hardened resolve tested both internally and externally.